Democratic Gov. Kate Brown — the nation's first openly bisexual governor and the face of progressive policies such as no co-payments for reproductive health care — is seeking a final term as Oregon governor. On Nov. 6, she is up against a moderate Republican, Oregon Rep. Knute Buehler of Bend, who she defeated in a 2012 race for secretary of state. As a Democrat, Brown enters the race with an advantage among the state's liberal-leaning electorate. Her campaign has focused on her wealth of political experience beginning in 1991 and has sought to discredit Buehler's claim to support pro-choice policies. 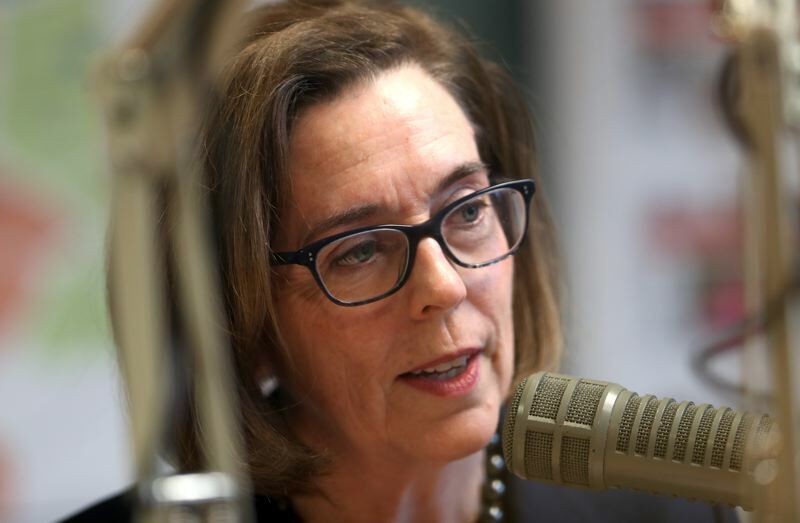 "I'm the only one in the race that has a track record of bringing Oregonians together to tackle difficult issues facing Oregon," Brown said during an editorial board meeting with the Pamplin Media Group last month. "I'm a consensus builder and a collaborator. And that's the same kind of strategies I'll use if Oregonians give me the opportunity to serve as governor for four more years." Brown says she will seek to nearly double the investment in high school career and technical education to $300 million in the next biennium. Secondly, she wants to expand access to prekindergarten programs to an additional 10,000 students. She wants to expand the school year to 180 days. Finally, she wants to look for ways to improve teachers' access to professional development and mentoring. Next year, Brown plans to again introduce failed legislation to prohibit transfer of a firearm for 10 business days if Oregon State Police are unable to determine whether the recipient is eligible to receive the weapon. The proposal is known as closing the "Charleston loophole." She supports raising the legal age from 18 to 21 to purchase an assault rifle and a ban on bump stocks. The governor supports and her staffers are active in helping to craft legislation to create what is known as a cap-and-trade program called "Clean Energy Jobs." Cap-and-trade programs set an allowance, or a cap, for the amount of carbon dioxide industry can emit free-of-charge. Any business that released more than that amount would be required to buy credits at auction to offset their emissions. The proceeds of those purchases would go toward investing in projects aimed at stemming climate change. Public employers are in heavy debt over the state's generous public retirement benefits. Brown has spearheaded some modest changes to the pension system, such as incentives for public employers to pay off debt, but none so far have made a significant impact on the state's $25 billion unfunded future obligation to retirees. Brown said she wants covered workers to have "skin in the game," and noted that after recent rounds of collective bargaining, 98 percent of state workers will pay 6 percent of their salary for their pension side accounts. That's known as the "employee contribution" but had long been paid by the state.